Pinpoint has been making quality monitoring electronics for years and is the only full time pH monitor with the ability to give a .01 resolution. 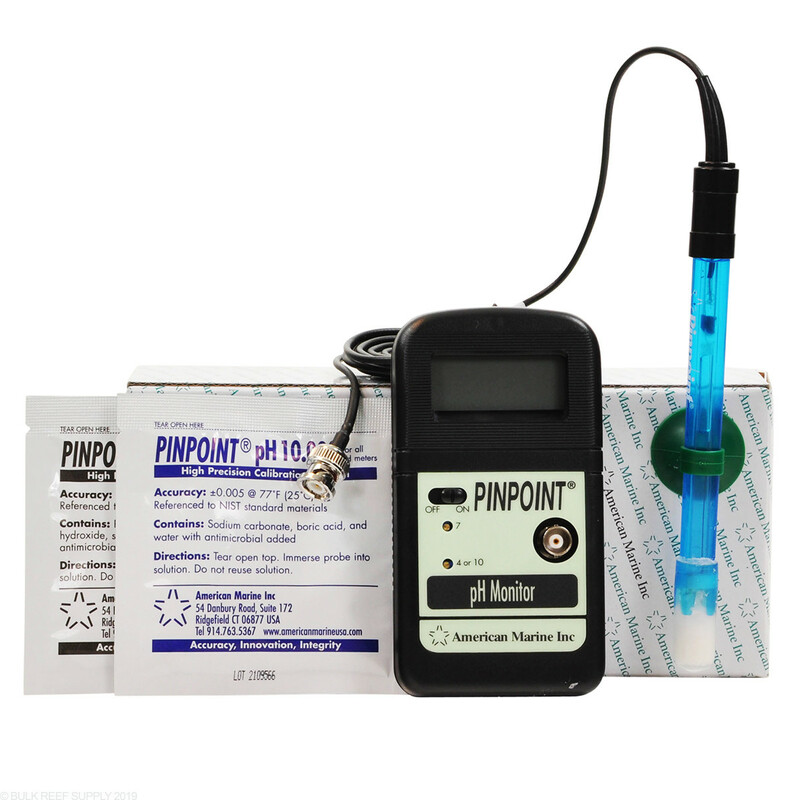 With proper care and maintenance the Pinpoint pH monitor should last a lifetime. 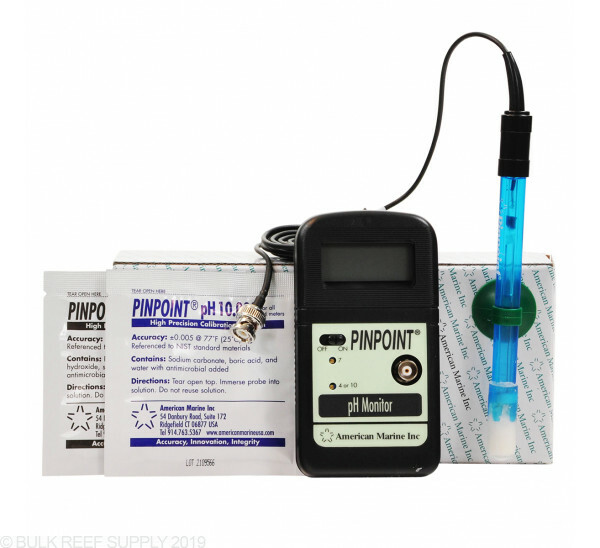 The American Marine PINPOINT pH Monitor is the only full-time pH monitor with .01 resolution. 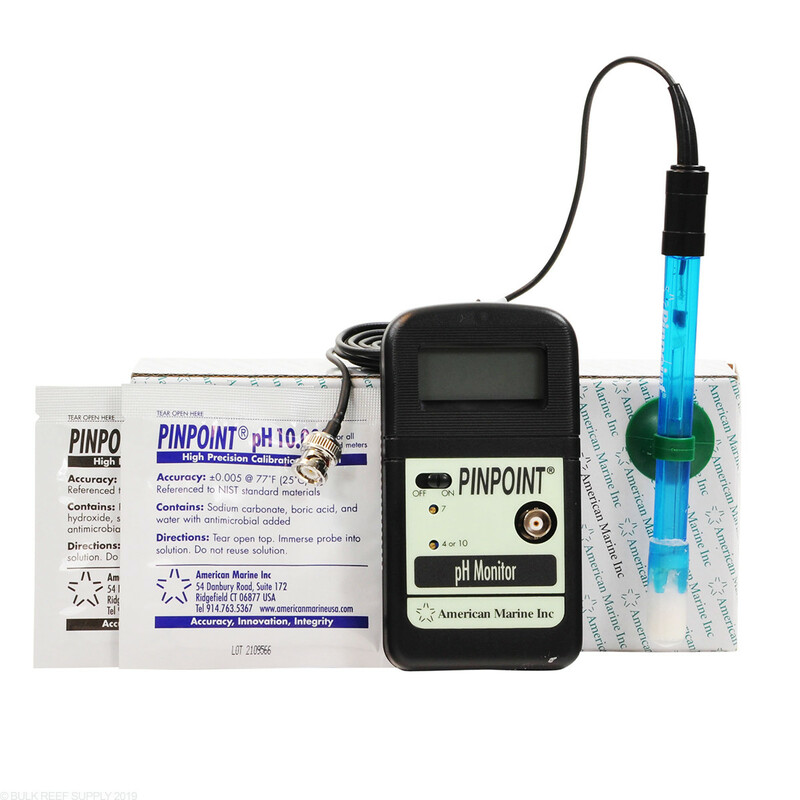 With proper care this PINPOINT pH monitor should last a lifetime. highly inaccurate . needs frequent calibrations. readings drift during continuous monitoring. it is flawless. Highly recommend it. No issues so far. Seems very accurate. 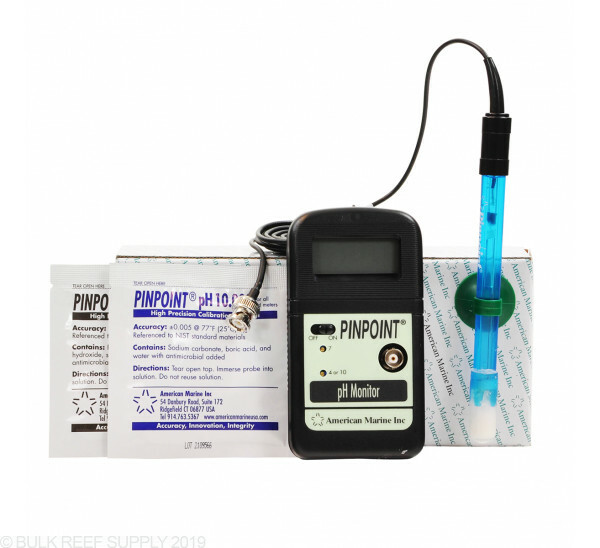 I purchased one of the Pinpoint PH Monitors for my large reef tank after having problems with my other two hand held PH meters. The calibration was very easy and fast. It fluctuates at the .01 resolution due to water movement in my tank. This is due to the fact that I have a surge tank that dumps about 2.5 gallons of water into the tank about every minute but I don't worry about fluctuations of .01 resolution. When the external filtration pumps and surge system is off for the feeding of the corals the PH stabilizes to the .01 resolution and this is when you can take this more accurate reading if you wish. I likes it so much I purchased a second unit for a smaller frag tank. It was a pain to calibrate because when I would switch from the 10.0 solution to the 7.0 solution it was very small adjustments required for the variance. About a .01-.03 variance when calibrating between the two solutions. I would suggest using this as only a guide on the PH of your water. Overall, I would make the purchase again for my 2 reef tanks. This product is extremely accurate and with an easy 5 minutes of calibration you will have your pH down to the hundredths. If you are using a liquid test kit - you have no idea what your pH is. My old API test kit was reading a pH barely on the scale at 8.8+ while the actual pH was only 8.1 - off by almost a factor of 10. While some people are worried they are not sealed and can corrode from salt-creep I am not worried about this at all. The probe comes with a very long cord that can keep the monitor far away from any salt creep. Vortech's controllers aren't sealed, your thermometer probably isn't sealed, your lights aren't sealed - why should such an inexpensive probe be sealed? I researched pH monitors pretty hard including posting on different forums to get users opinions, emailing a cpl of the manufacturers. After weighing all the info & comments others I went with the Pinpoint pH Monitor and I am pleased with my decision. Only aspect I dont care for is that when I change any electrical components in my sump the meter will fluctuate. Not a big deal it settles again within a min or 2. Probably the most accurate find for under $100. 2 point calibration, plenty of cable. For continuous use need the adapter. Also need the 11.0 and 7.0 calibration solutions. Been using this monitor for 2 years. It is consistant, reliable and trouble free. What more can you ask for. Is this designed for continuous use? This is battery operated and not for continuous use however the probe can be fully submerged at all times and simply press the unit on to monitor the pH. Feel free to let us know if you have any further questions! Is this for continuous use? This is battery operated and will need to be shut off after each use, however the probe can remain in the aquarium and simply turning the unit on when needed. Feel free to let us know if you have any further questions!